The Azure Blob Storage allows you to store any type of unstructured data: images, videos, audio, documents, and more. 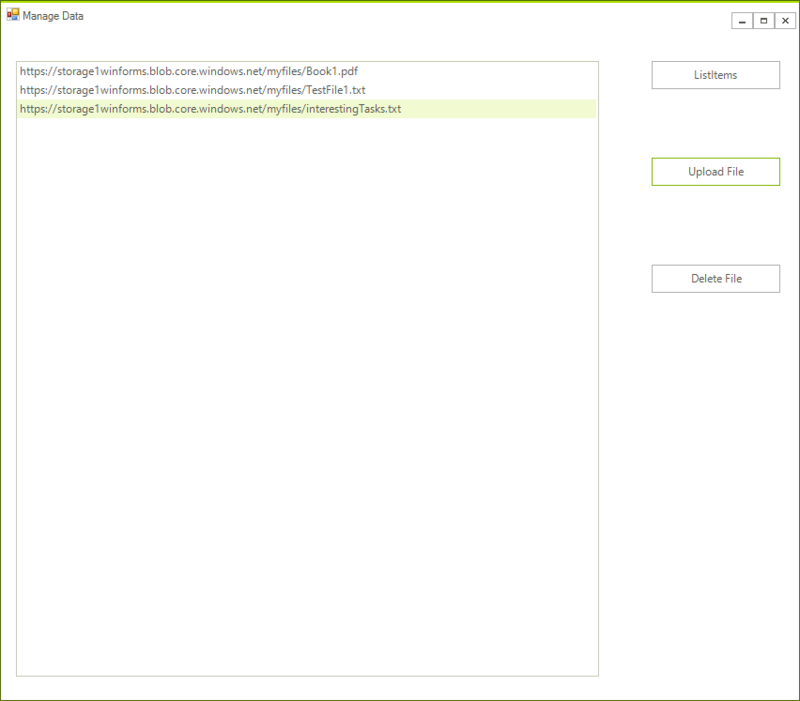 This article will show you how you can create a small application that allows you to manage the the data uploaded to the storage. 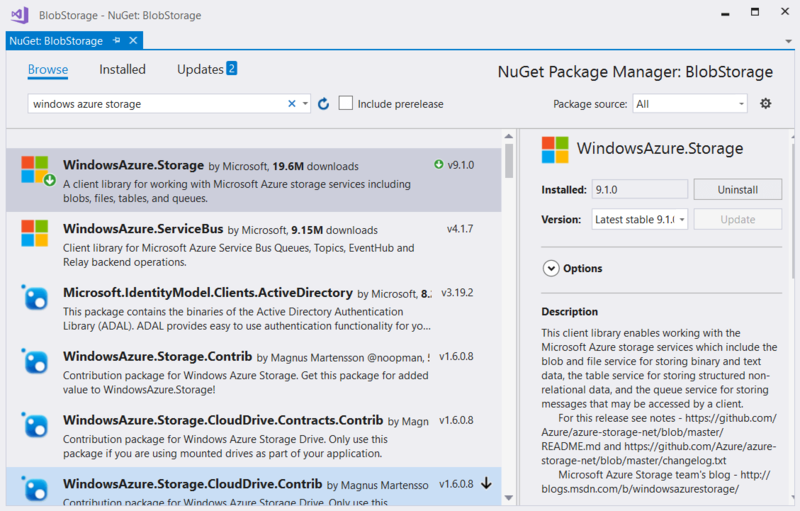 Open the NuGet Package Manager and install the Windows.Azure.Storage package. We will use the following objects in order to manage the storage. Add tre the following code to your form class. You can add the necessary namespaces by pressing Ctrl + . 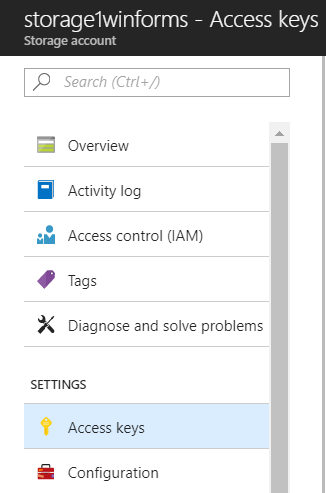 The following article explains how you can create a storage account: Create a Storage Account. The process is straightforward and easy it should take no more than 10 minutes. Once this is completed you need to get the connection string. You can find it under the Access Keys page. String connectionString "your connection string form the account goes here"
You are ready to create a storage container and initialize the storage container. Add the following code. //if the container do not exists create it. 'if the container do not exists create it. 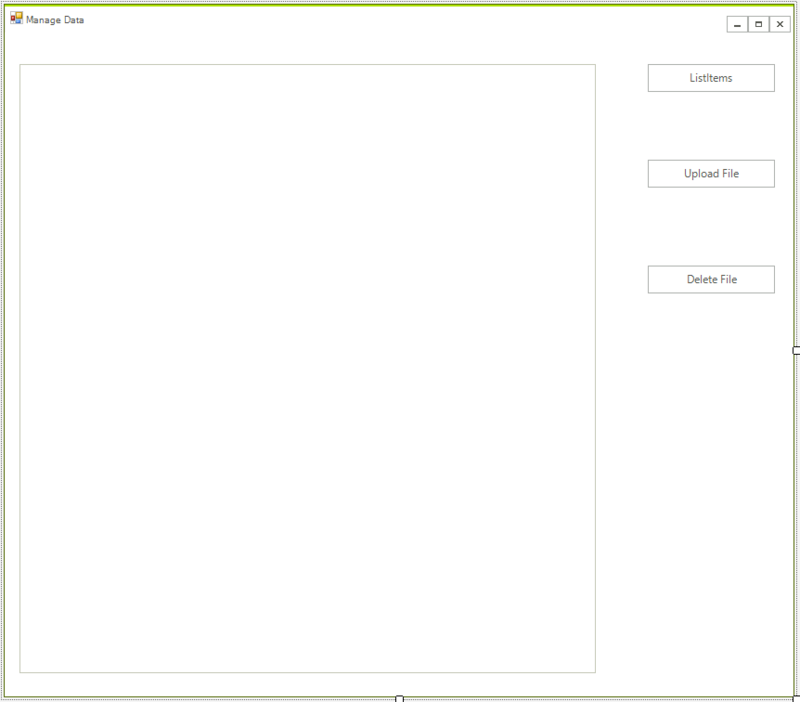 Step 5: Add the handlers to manage the data. There is nothing complex in this example and the API is really intuitive. You just need to call the appropriate methods and you will easily get the results. You are now ready to manage the files in the cloud.